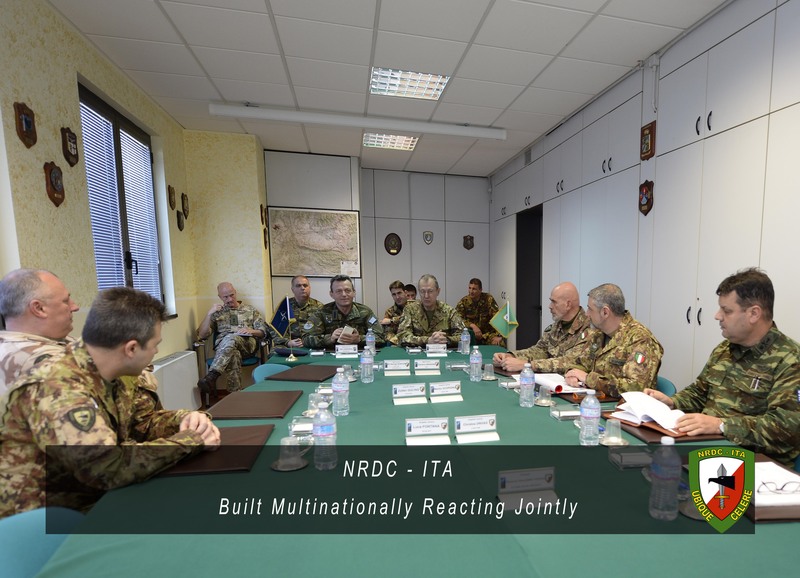 NRDC-ITA NATO - 4th February - NRDC-ITA Commander receives the visit of NRDC-GR Commander. 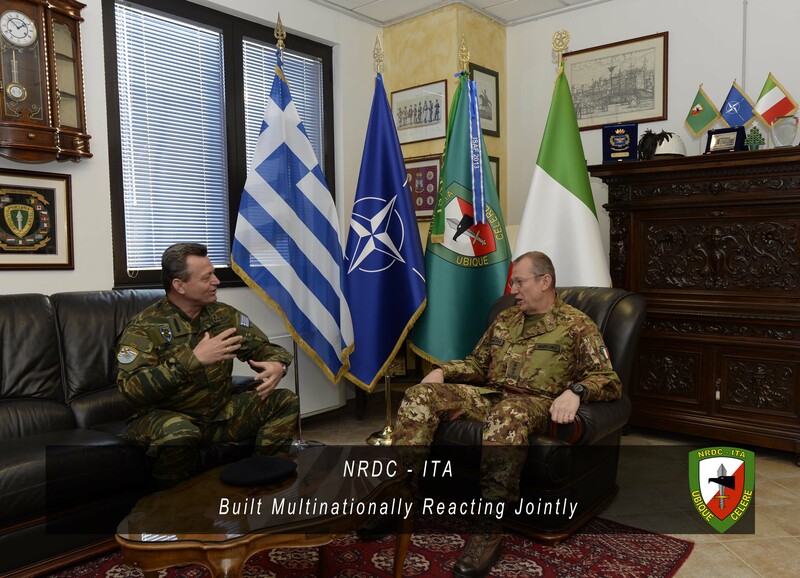 NEWS > ARCHIVE > Archive 2016 > Archive 2016 - 02 > 4th February - NRDC-ITA Commander receives the visit of NRDC-GR Commander. 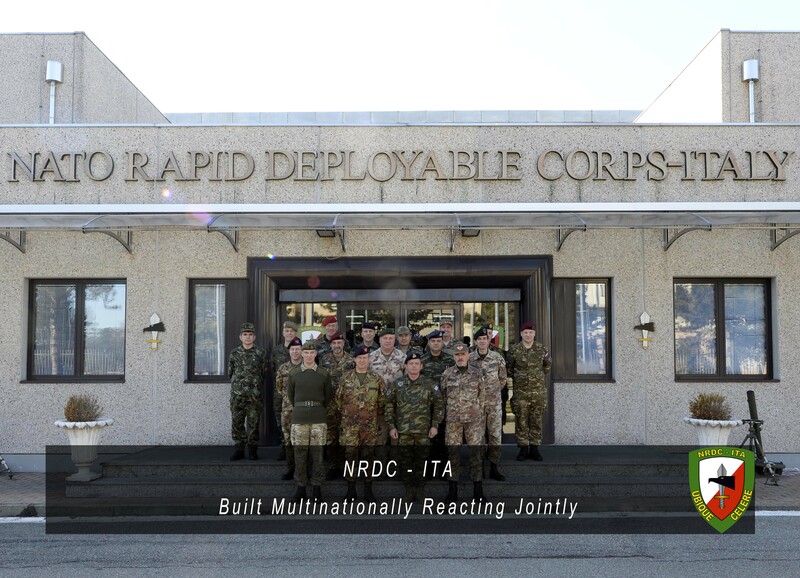 4th February - NRDC-ITA Commander receives the visit of NRDC-GR Commander. 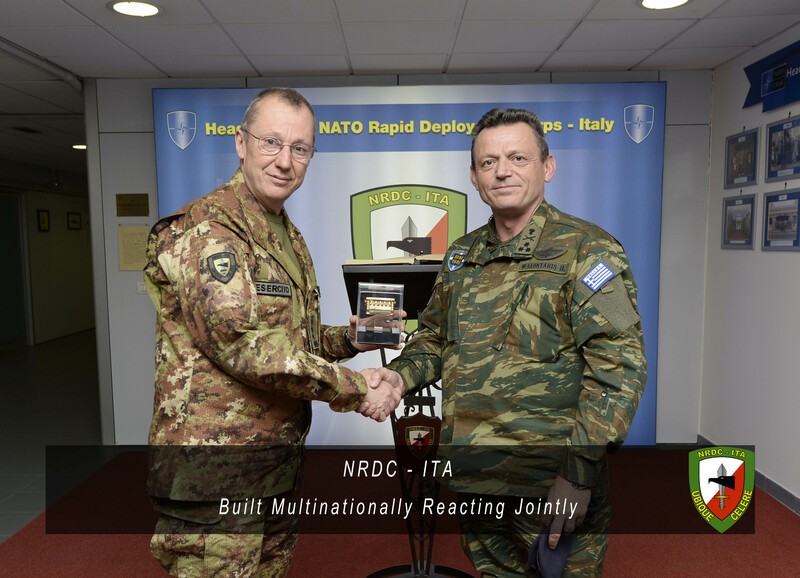 Today, 4th of February the Commander of the NATO Rapid Deployable Corps Italy, Lieutenant General Riccardo Marchiò, received the visit of Lieutenant General Ilias Leontaris, Commander of NRDC Greece, one of the NRDC-ITA’s sister Headquarters. 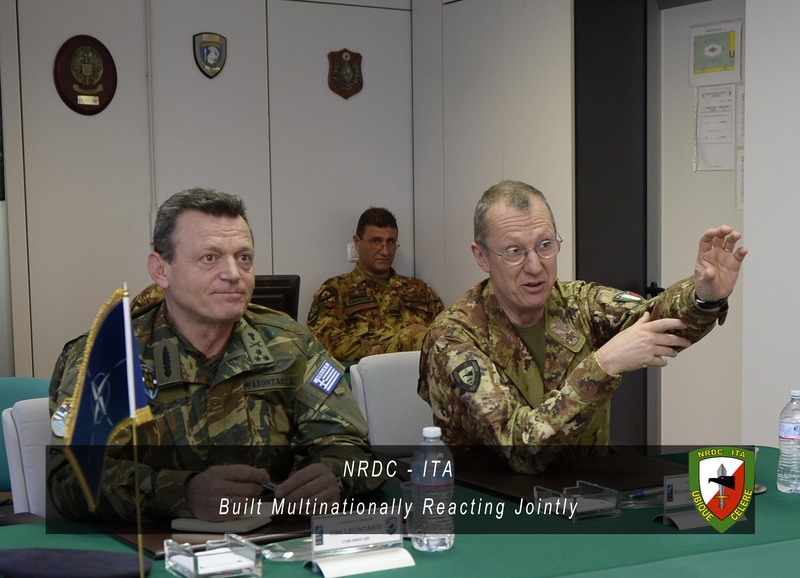 During the visit General Leontaris has been briefed on the development of the most recent activities of the “Ugo Mara” barracks. 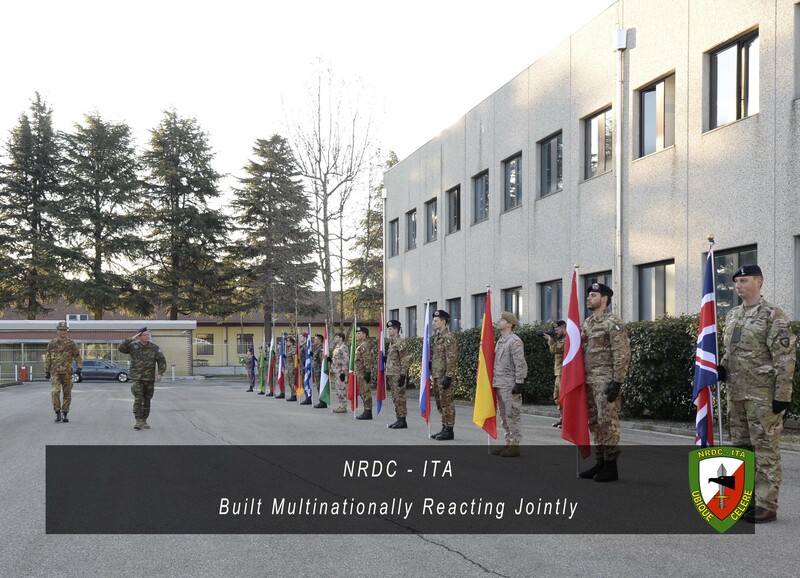 After a videoteleconference with the NATO Allied Land Command and the meeting with his fellow countrymen and women serving at NRDC – ITA, General Leontaris met all the Senior National Representatives of the Headquarters and signed the traditional Roll of Honour.